Attention! 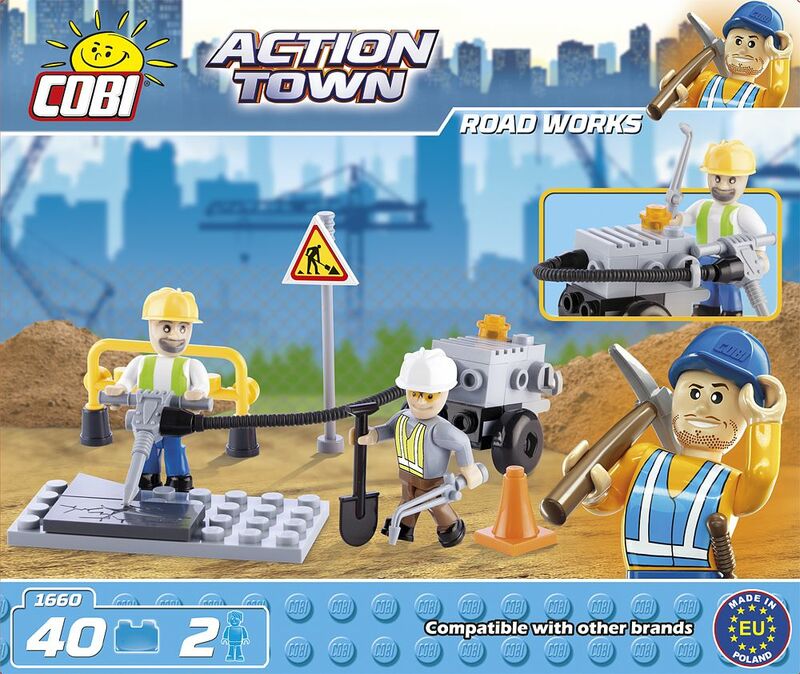 Roadwork ahead! With this kit you can build a pneumatic hammer with a compressor. The construction site can be marked by special warning signs. 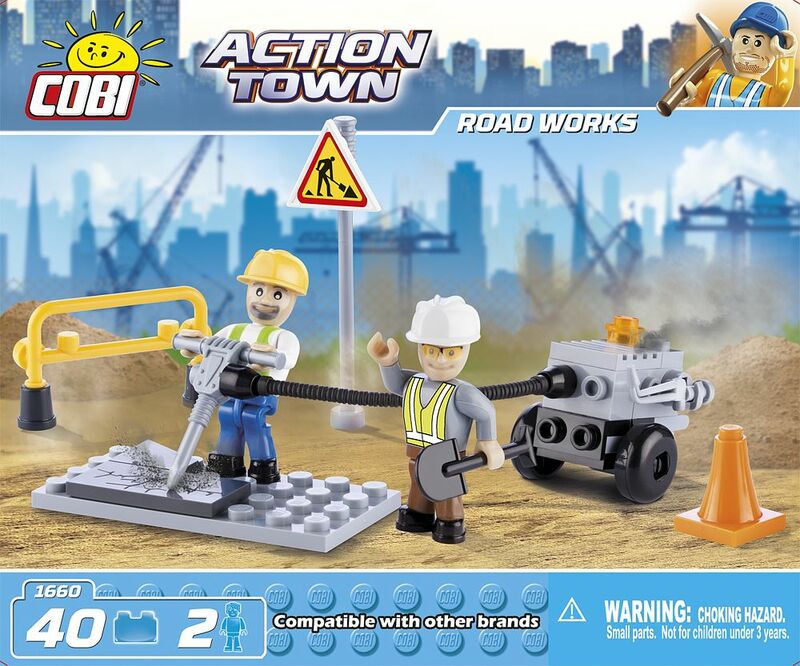 Among the accessories the kit includes are a pneumatic hammer, shovel, road construction sign, barrier and bollard. The set consists of 40 blocks, including two road worker figures.